Below we share the best shed design software to help you create a plan based on your home’s layout and specifications. 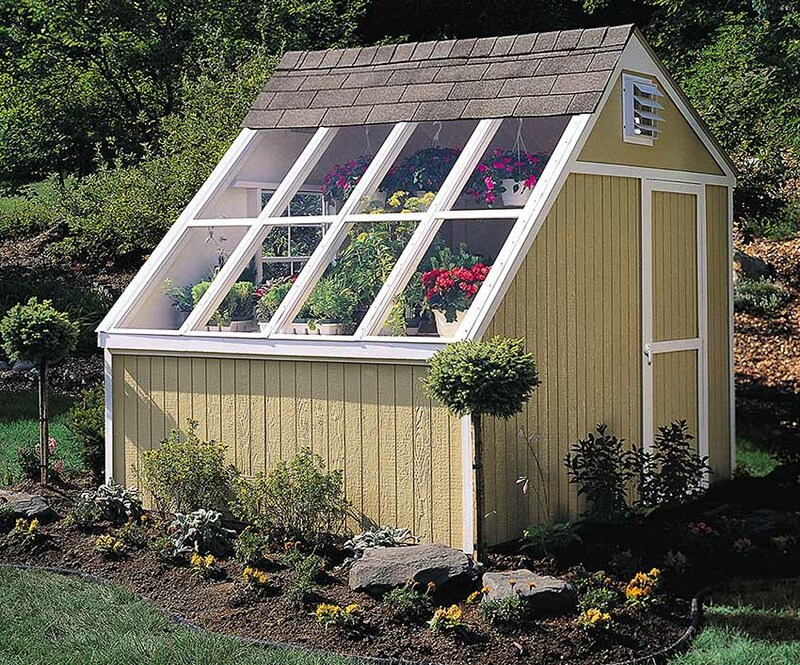 A shed can be a useful addition to your home for storing garden tools and keeping things organized and out of sight. You have the option to buy one premade but it can be helpful and unique to make your own design with your exact dimensions in mind. However, not everyone is a professional designer, making the design process a little confusing and overwhelming. The good news is that there are plenty of applications and software that are made to help the average homeowner design features such as sheds and garages. These apps are made to guide you through the process of shed design with various levels of detail. Below, we will take a closer look at some of your design software options. The first software we will look at is SketchUp. This software offers the ability to create 3D models for a variety of applications including interior design, architecture, and even video game design. The goal of this software is to allow you to create anything you can think of down to meticulous details. This level of detail does come with a downside. Since there are so many features and tools, it can seem daunting to try to get to know the software. While it can be complex if you are looking to create something extremely detailed, the basics are easy to grasp. To start, you’ll be prompted with a simple rectangle which you can drag to create the right dimensions. The complexity comes in when you are trying to add in the details that a professional would including features such as studs and plywood. For the most part, the app guides you through the important tasks in a step-by-step manner. Chief Architect offers a variety of software to their customers, one of which being Home Designer Suite. This software is a 3D option with 2D features as well, giving you more control over fine details of your shed design. It is made for DIY designers that don’t necessarily have the skills and training of a professional. That being said, there is a learning curve when it comes to Home Designer Suite. It comes with a lot of tools and controls that can take a while to get the hang of. You will also need to be patient with the software because it isn’t designed to come up with a quick idea for your shed. Each time you start to create a new design plan, you’ll have to answer a series of prompts from the House Builder Wizard. This will include questions about size, style, exterior siding, framing defaults, and the like. The good news is that this patience rewards you with a very detailed and useful design. Shed Boss is another software that is made for DIY projects and design clients trying to plan out what they want. Unlike choices like Home Designer Suite, however, the Shed Boss App is rather straightforward. With less of a learning curve, you can start making plans for your shed faster. This app guides you step-by-step through the design process. To start, you’ll select the option of creating a shed and the process moves forward from there. The app will ask you questions about features such as dimensions and building types. You won’t be able to skip these as they are imperative to creating a realistic model. The tools on this app are rather basic and they can all be found on the left side of your screen. You can also zoom in and out on your plan by either pinching a touchscreen or using the scroll wheel on a mouse. This app, unfortunately, trades its ease for a rather basic selection of design features. The Fair Dinkum Sheds Designer app is created, unsurprisingly, by Fair Dinkum Sheds. 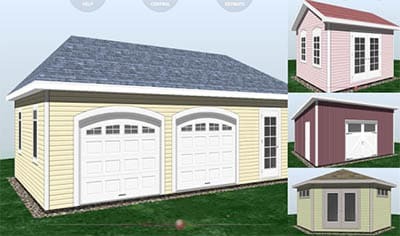 This software is meant for the design of not only sheds but for barns, garages, and carports as well. Much like Shed Boss App, you can locate the features you need on the left side of the screen. The first thing you should do when using it is setting the dimensions which have a good amount of customization to allow you to be precise. There are a lot of features with this app but they aren’t hard to get a handle on. You can change details such as colors and cladding. You can’t zoom in and out of the plans made on this app but you can change the angle you are looking at your plans from by clicking and dragging the cursor. The app also offers cost estimates on jobs but some users complained that they were much more expensive than what other software told them for similar plans. 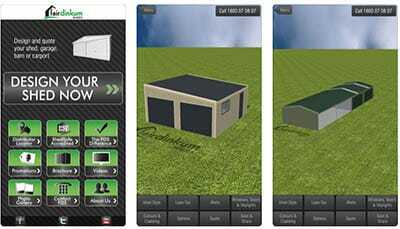 Udesignit 3D Garage Shed is a rather basic design app to help you plan your dream garage or shed. It is made to be simple to use even for those who haven’t worked with any sort of design software before. If you get lost while you are using the Udesignit 3D Garage Shed software, the “Help” menu is a valuable resource. It is full of tips that can help guide you to the shed of your dreams. Some users did find that some functions such as undoing actions were hard to control. To get started on this software, you only need to choose the system unit you want and set up the dimensions. From here, you can use the feature icons that are located on the edges of the screen to customize your shed the way you want. 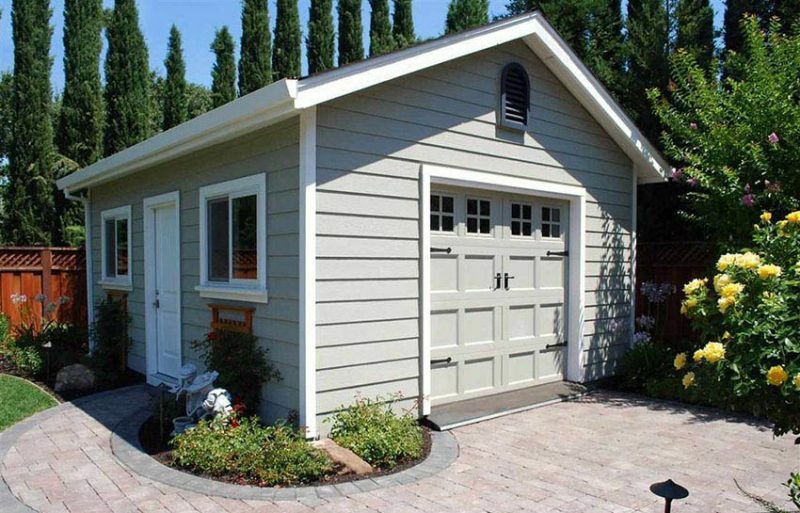 Studioshed is specialized for creating and designing sheds. The software is free to use on their website and guides you step-by-step through the design process. The first thing that you’ll be asked is your zip code. 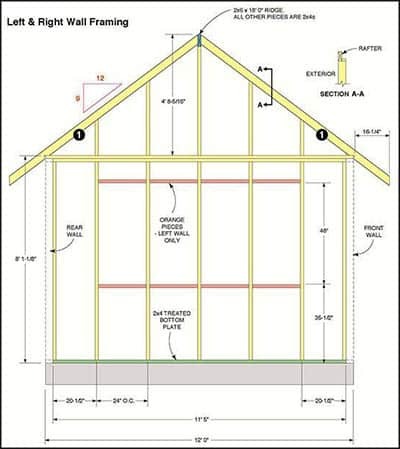 This will help Studioshed give you an accurate estimate to build the shed you create. Then, you’ll choose the dimensions of your shed but there are rather limited choices. From there, you will choose the interior, exterior layout, sidings, colors, and services and foundation of the shed. 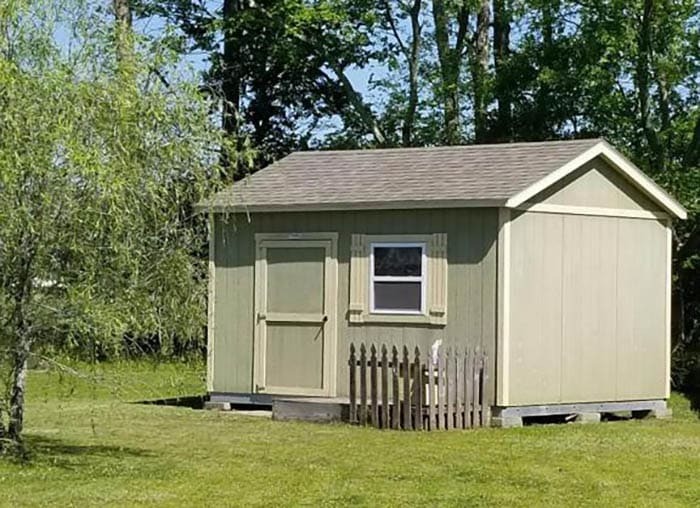 Once you’re finished, Studioshed will give your final estimate for your shed. It’s possible to view the shed from different angles by the choices below the model and zoom by scrolling. CADPro is made to help users plan home design and improvements, create landscaping plans, and generate mechanical drafting and drawings. A big benefit of this software is the variety of features available for use. You can start with precise dimensions with help from their “Smart Dimensioning” and automatic tape measure features. You can also plug in photos, create clipboard files, use paint tools, integrate Microsoft Office, and save your plans as PDF files. If you draw your own plans, you can even scan them in to work on digitally. At this point, we’ve talked a lot about products that offer CAD features in their shed designing software. So, what exactly is CAD software? CAD, which is sometimes lengthened to CADD, is computer-aided design and drafting technology. This is used in design to automate the manual process of drawing out plans. CAD software can be used to create 2D or 3D designs, depending on the exact software being used. In shed design, this means that you can generate a model or blueprint of what you want your shed to look like. The more CAD features offered, the more detailed your shed design can be. 3D CAD design software is often much more detailed than its 2D counterpart. This is because of the reasons we looked at when we discussed free 3D shed design software. CAD design software is popular because it vastly simplifies the process of design. It doesn’t require the same level of precision in the measurement of manual drafting. It also helps designers who aren’t as skilled at drawing as they need to be to put their ideas on paper properly. When you are designing a shed for your house, odds are that you don’t need to buy a subscription to a design software. After all, you’re only going to use it for this one job. In these cases, it’s a good idea to keep an eye out for free software. You can find several options for shed planning software that doesn’t require you to make a purchase or even download an app. These are usually some of the easiest software to use because they guide you through the process. 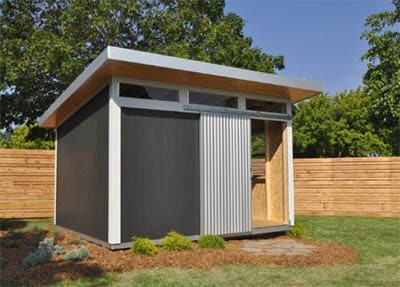 Two of the best free shed design picks are Studioshed and Shed Boss. The tradeoff for this ease is simplicity. The tools and features that you use in these software are rather basic and don’t typically allow for much detail. For example, we noted earlier that Studioshed only allows you to choose from a short list of pre-set features. One feature you’ll want to look for in shed design software that’s free is 3D modeling. While 2D modeling is helpful in looking at dimensions and shape but it’s hard to picture the finished product. When you are creating a 3D model, it’s easy to see what you’re creating. In addition, it also allows you to look at extra features such as flooring, siding, and color choices. 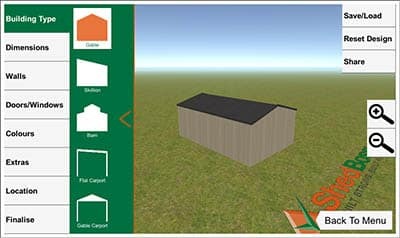 Two free programs that offer a 3D view are the Shed Boss and Fair Dinkum Sheds Designer. 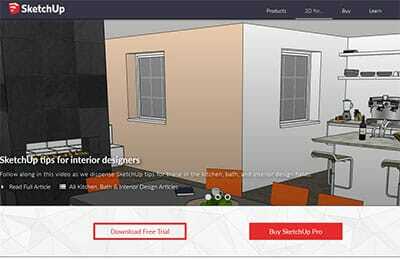 If you are looking for the best quality designer that you don’t mind paying for, Sketchup has robust functionality and a 3D view. Free shed design software should also have a materials list to choose from. It’s important to note that more expansive material lists are better for your design. The biggest benefit of this is that you can create a more detailed model of your shed. It’s very important economically that different materials come at varying costs. If you are able to create a model which includes factors such as the type of flooring and siding you want, you’re going to get a better and more accurate cost estimate than if you only have dimensions, doors, and windows to reference. Udesign 3d Shed software is one software which allows you to see a materials list so you know exactly what to purchase to complete your build. 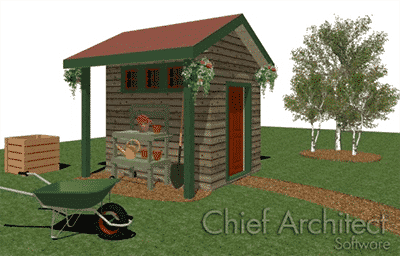 There are also free online shed design material lists that you can download. One such site is found here. Visit our gardens and landscaping gallery for more ideas for the backyard.